Print VISUAL Vendor Payment Information Directly on 1099-MISC Forms! You need to mail out all your completed 1099-MISC Forms by January 31, 2015. BizTech has the solution to help you meet that deadline! 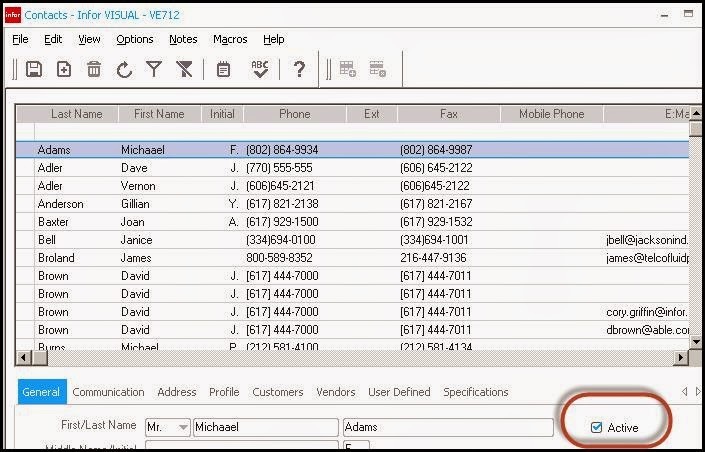 BizTech's VizReports™ 1099 Edition is designed to extract vendor payment data from your VISUAL database and allow the amounts for each vendor to be reviewed within the application. You can even manually specify rents, royalties, medical, and health care payments, etc. as needed. When the review is complete, you simply print the results directly on your 1099-MISC laser forms! •Updated default dates for tax year 2014. •Support for VISUAL 7.1.x Multi-Entity/Multi-Site Databases. •Verification that the forms print correctly on the 2014 Form 1099-MISC and Form 1096. •Support for Access 2010 and Access 2013 or the Access 2007/2010 Runtime. •Verified Support for all VISUAL Versions 6.4.1 through 7.1.2. •Reporting Solution for all versions of SQLBase, SQL Server, and Oracle. 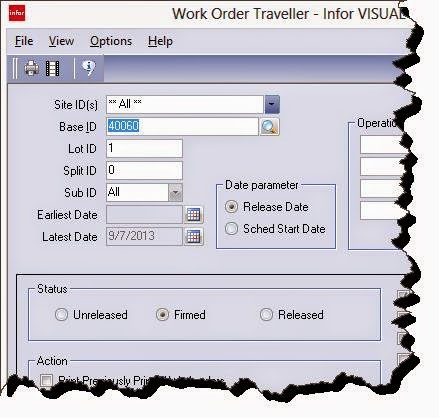 Infor VISUAL has powerful tools for batch printing of travelers based upon their status. But for companies that have complex production environments, that capability might not be sufficient. Some companies need to release travelers by warehouse or other criteria. While someone could sit down and separate them by hand (don’t laugh) VISUAL has better tools for accomplishing this feat. This is done with a powerful, but well hidden VISUAL gem. To find it, open the Work Order Traveller Window [VISUAL Main Menu\Eng/Mfg\Work Order Traveller]. Then click on the search button for the [Base ID] field. That action opens the search dialog box. It isn’t immediately obvious that this is helpful until you read the little bit of text tucked away in the lower right corner of the dialog box. 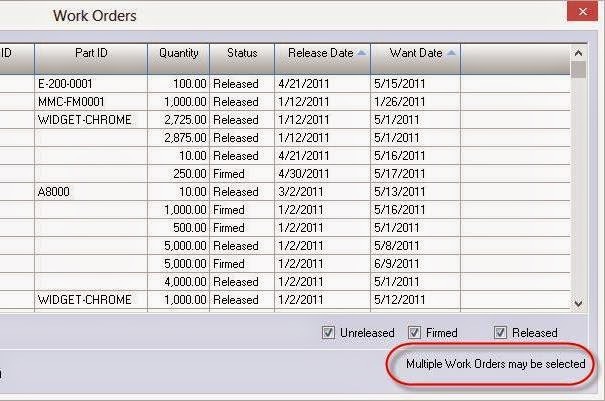 This capability allied with the [Search] button makes it easy to choose which work orders you want to print. It is easy to set the dialog up to print only “Firmed” work orders for the specified warehouse. 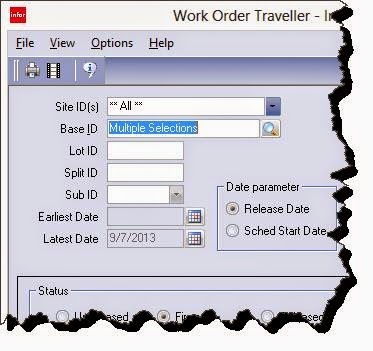 Click [Search] again to restrict the displayed orders to only those for MMC-MAIN. Note: You can expand the available search criteria by clicking on the “By customer ID” or “By Planner ID” buttons above the [Ok] button. 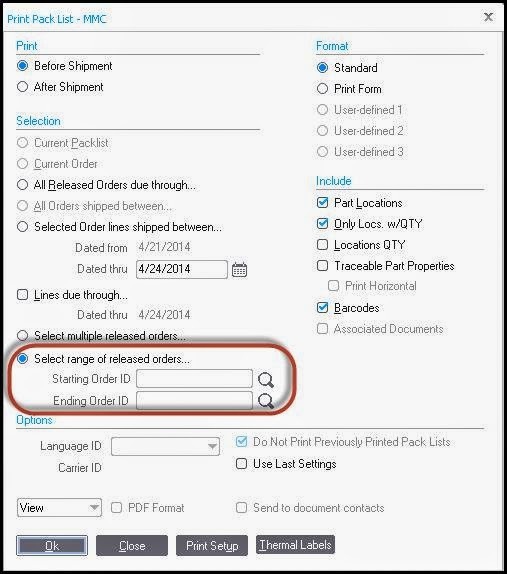 Select the rows for the orders that you want to print and click [Ok]. When you click on the [Print] button all of the travellers that you selected will be printed. This feature is not available in older versions of VISUAL, so you may need to upgrade to take advantage of this capability. This Infor VISUAL ERP tip was brought to you by Kurt Carr. Your company needs a new ERP system. Where do you start? For most successful ERP Implementation Projects, getting off to a good start is key. But, before you even begin thinking about which ERP systems you want to research, you should have executive buy-in. Without it, you are destined for disappointment- you’ll spend a lot of your time and the time of others, while the project goes nowhere. I’ve seen many companies take this route, only to be told ‘NO’ by ownership when it was time to purchase. 1. Your selection committee should include people that represent each department that will be impacted by the ERP system. These individuals should have a clear understanding of their departmental requirements, along with the ability to communicate those requirements to the rest of the team and to your prospective ERP software vendors. If you can find individuals who have been through the ERP Selection and Implementation process before, their experience can be very valuable. 2. You will need a leader- somebody has to be responsible to keep the project on track. Remember, choosing an ERP package is a business decision, not an IT decision- so this person should have an intimate knowledge of your business. He or she should also have the ability and experience to make decisions, as well as bring about change within your organization. 3. Being on an ERP system selection team requires a significant commitment of time. If a member can’t commit the time needed for the project, you should select someone else who can. 4. Executive Buy-in: Can’t stress it enough! Make sure that you have an ERP Selection committee member who has the authority to sign the contract and write the check. If a final decision-maker doesn’t jump on board with the rest of the team, how are they going to have the knowledge to make the right decision when you ask for their signature? Check out #4 in the whitepaper ‘How to Start Down the ERP Selection Path’ for more tips on creating an ERP Selection Team. Most organizations that use VISUAL ERP print travelers for distribution to the shop floor. and entering the Base ID of the work order that they want to print. If you only print travelers one at a time as you release jobs, there’s an easier way. Hit Print and you are done! 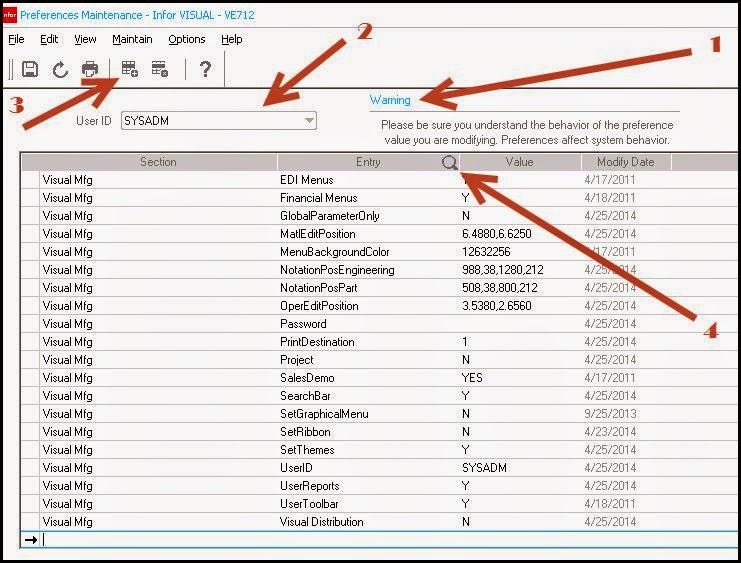 This is a newer feature and only works on Infor VISUAL version 7.0 and above. 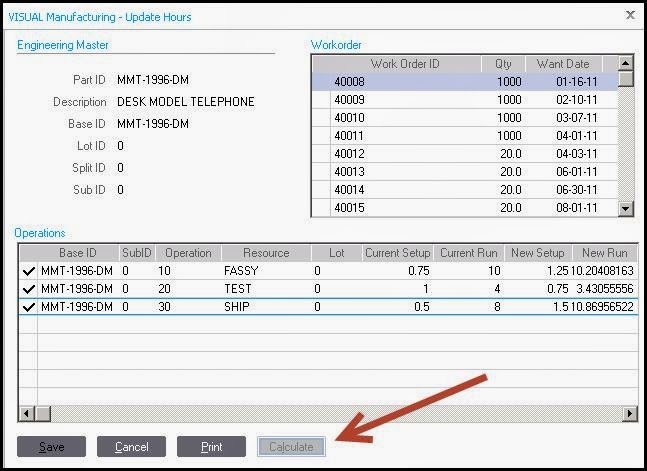 If you are using one of the 7 series VISUAL ERP releases, look for this option. If not, well that’s just one more reason to upgrade. This VISUAL Did You Know Tip was brought to you by VISUAL Consultant, Kurt Carr. Often, the first noticeable signs that your company needs a change in software will come from your accounting department. If your accounting team relies on Excel Spreadsheets, paper-based invoices, sales orders and purchase orders—or spend hours every week manually entering the same information into multiple systems—you need to consider how much time is being wasted on tasks that an ERP software can streamline. The same goes for financial reporting. In many companies, older legacy systems have been running operations for over 20 years. Whether it’s custom code, or just an old software package, there might be only one or two people in the company who know the inner-workings of the system. They become quite valuable to the organization, and therein lies the greatest risk. What if the knowledge-holder decides to leave? Think about this…what if tomorrow there was nobody to support your old, out-of-date information systems? If any of these describes your ERP, you should change ERP before you have a major problem. Watch out for this phenomenon, and don’t be surprised if you find you are already there. If your staff is performing tasks outside the primary system, such as double-data entry, cut and paste reports, or walking between plants or warehouses to record or deliver shop floor information, and you have islands of information, these are all signs that you need to make a change. These manual and redundant workarounds due to system limitations result in major inefficiencies, which are time-consuming and costing your company money.Today’s ERP systems all provide useful and easy to use tools for the reporting you need ongoing or ad hoc. 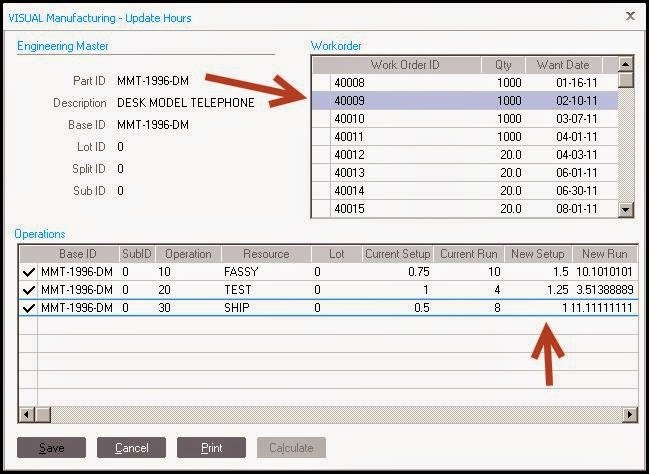 If you are still using 1990 reporting technology, it is time to change ERP. Maybe you could provide the requirement on a daily batch basis but they asked for real-time data. Remember the rule, “The customer is always right”. If you want to keep that all-important customer, this might be the time to look at a change in your ERP. Many of the older systems do not have the functionality or scalability that exist in today’s modern ERP systems. Your company may be growing naturally or by acquisition, creating a need for a system that supports the changes to your business. These requirements could include but are not limited to; multi-language, multi-site, multi-entity, centralized business functions, bar coded transactions, CRM or mobility. If your current ERP isn’t providing the tools you need to stay competitive today, you might consider looking for something new. If you are experiencing any of the above signs, and conclude YES, it’s time to make a change- make sure you do your research. There are many systems to choose from, and you want to find the best package that will help your organization to reach its business goals and allow your company to grow. After all, ERP is one of your most important tools your business has, and you know you won’t get the results you want by installing screws with a hammer. 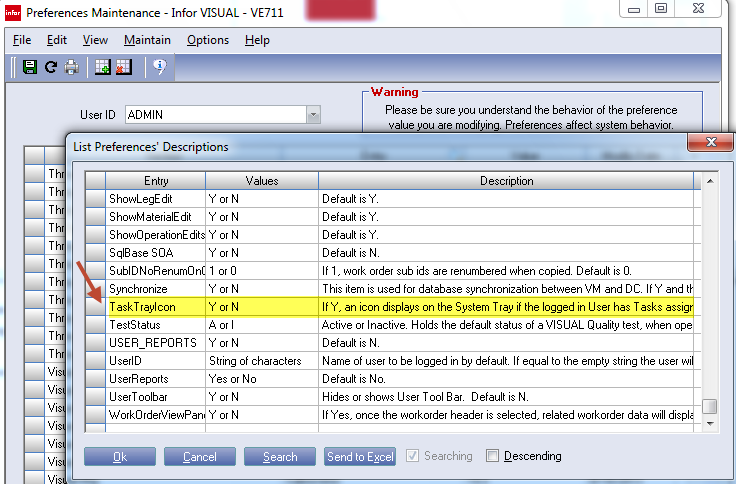 Did you know that VISUAL 7.1.2 has nearly 2,000 individual preference settings available in release 7.1.2? 2.) Read the warning that is displayed. Please take caution. -Select any user from the drop down list. 3.) You can now see the available settings. 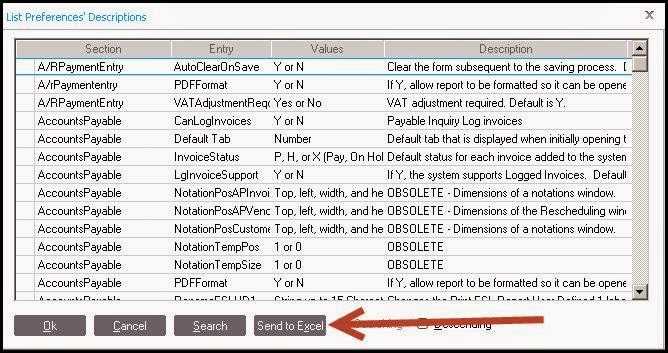 If you would like, you can export this list to EXCEL. 4.) As you can see, over 1800 items are exported. This VISUAL Tip was brought to you by BizTech VISUAL Consultant, Larry Tussing. 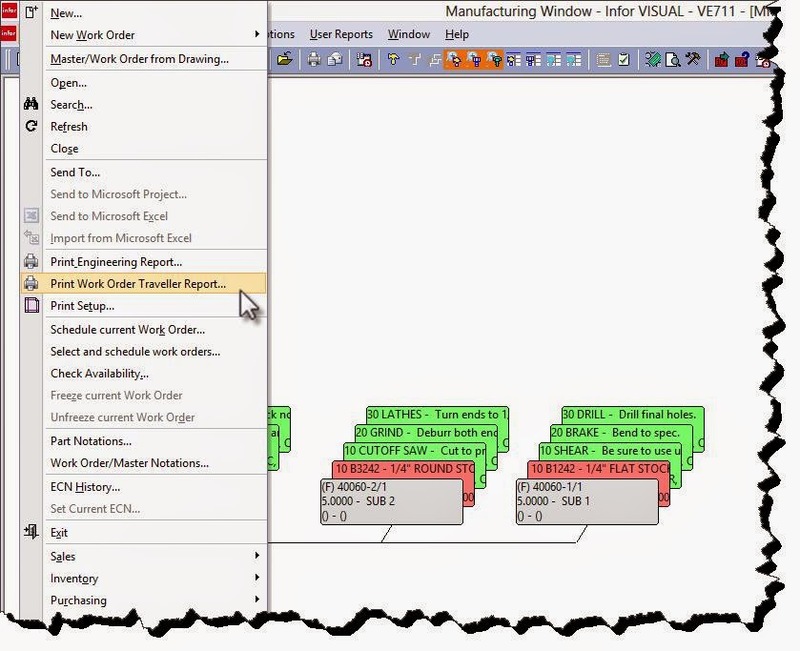 Did you know there is an easier way to delete multiple grid lines in VISUAL? 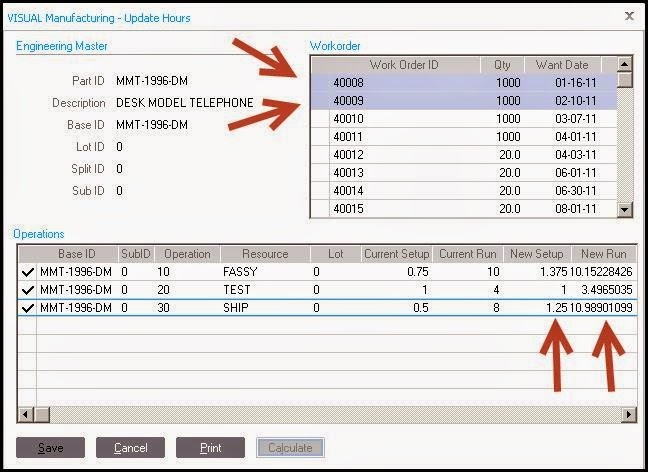 Let's take a look at the Customer Order lines, for instance. Say you have a bunch of lines that you would like to delete. You would think that if you highlight them and click the delete button on the toolbar, that it would delete all of the lines. Most of the time, that is not the case. You will find that it will only delete one line. If you want to delete all the lines at once, hit the DELETE key on your keyboard. That'll do the trick. 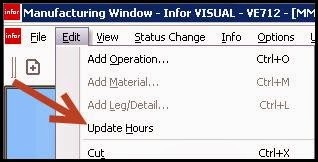 While Infor VISUAL 7.1.2 has been out for a while now, below are some changes in 7.1.2 that you may have overlooked and find useful. Printing pack lists for a range of orders – You can now print pack lists for a range of orders, provided that the orders have not yet been shipped. 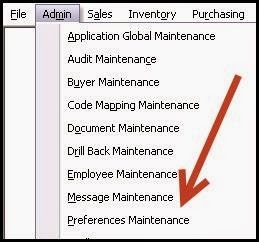 Contacts – In Contact Maintenance, you can now designate a contact as inactive. 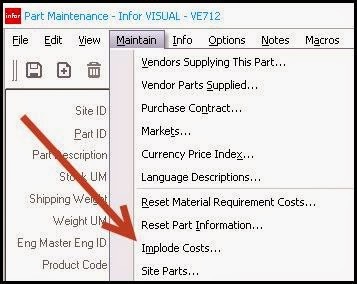 Searching for Material Requirements by Reference # – If you use reference numbers for your material requirements, you can use the new Find Requirement by Reference function to find the material requirements in the work order or master that have the specified reference number. 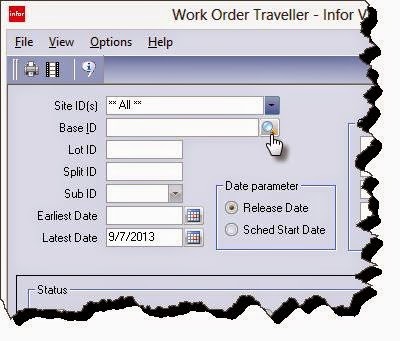 Copying delivery schedules with the Repeat Line function – When you use the repeat line function to copy an order or requisition line, you now have the option to also copy the delivery schedule. 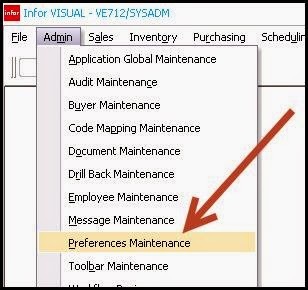 Specify whether or not to copy the delivery schedule in Preferences Maintenance. Support for Windows XP ended on April 8, 2014. If you have PCs running XP, you will no longer receive software updates from Windows Update. This ends all security updates, hotfixes, driver updates and support. Running Windows XP in your environment after the end of support date may expose your company to potential risks, such as viruses, spyware, and other malicious software which can steal your business information. You may be thinking, “But, Windows XP works great for us and we have no hardware issues with our computers, so why should we switch?" Think about this… On April 8, 2014, Microsoft released the last batch of XP patches and explanations of what they fix. A few days after that, virus writers have deconstructed these patches and discovered the underlying security holes. Then, they release their viruses, ransomware, adware, etc. The next day, thousands of computers are infected by the malware, and even if it is removed and all normal precautions are taken, this virus will infect the computers again and again while the Windows XP PC is being used to access the internet. Organizations that continue to retain a Windows XP environment not only are leaving themselves exposed to security risks and support challenges but also are wasting budget dollars that would be better used in modernizing their IT investments. Many options exist for businesses considering moving to newer PC operating systems. To understand the best options for your organization, you need a Microsoft Partner who will assess your business needs. Contact BizTech for more information at 419.539.6922 or go to www.gobiztech.com. Let’s say you use MapQuest daily in your shipping department. You can add the web page to the VISUAL toolbar. If you don’t do this, you won’t see the buttons you will create. 4. 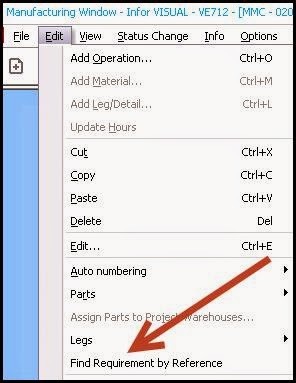 Double click on the search icon over the “Program Name” Column. 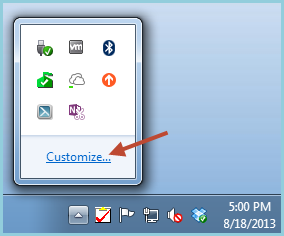 Browse to the Visual Executable folder, and select a suitable bitmap. Find the path to a browser. You now have an icon in the Shipping window!